An El Paso, Texas native raised in Northern California and educated at the University of Chicago, C.M. Mayo is an award-winning literary journalist, novelist, poet, and translator, who has been living in and writing about Mexico for over 25 years. In 2017 she was elected to the Texas Institute of Letters. 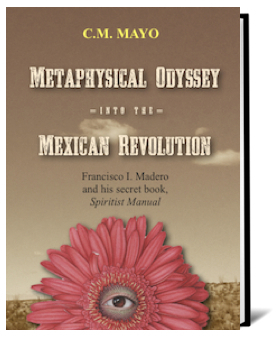 Her most recent book, a paradigm-exploding and profoundly researched examination of the esoteric philosophy of the leader of Mexico's 1910 Revolution, is Metaphysical Odyssey Into the Mexican Revolution: Francisco I. Madero and his Secret Book, Spiritist Manual. In 2015 it won the National Indie Excellence Award for History. "Mayo does a brilliant job combining the known facts of the Mexican Revolution and Madero's role within it, and creates an intellectual bridge to the president's spiritist belief structure...With her translation of the Spiritist Manual, C.M. Mayo opened this incredible window into the metaphysical side of the Mexican Revolution"
C.M. Mayo's previous books include the novel The Last Prince of the Mexican Empire, which was selected as one of the best books of 2009 by Library Journal; the widely-lauded travel memoir, Miraculous Air: Journey of a Thousand Miles through Baja California, the Other Mexico, and Sky Over El Nido, which won the Flannery O'Connor Award for Short Fiction. Founding editor of Tameme, the bilingual Spanish/English) chapbook press, Mayo is also a translator of contemporary Mexican poetry and fiction. Her anthology of Mexican fiction in translation, Mexico: A Traveler's Literary Companion, was published by Whereabouts Press in March 2006. Her most recent literary translations include short works by stories by Agustín Cadena, Alvaro Enrigue, Mónica Lavín, Rose Mary Salum, and Ignacio Solares. Mayo's stories, essays and poems have appeared in numerous anthologies and literary magazines, including Chelsea, Cenizo Journal, Creative Nonfiction, Kenyon Review, Literal, North American Review, Massachusetts Review, Paris Review, Southwest Review, Tin House and Witness, as well as the Los Angeles Times and Wall Street Journal. In addition to the Flannery O'Connor Award for Short Fiction, C.M. Mayo's recognitions include include three Lowell Thomas Travel Journalism Awards and three Washington Independent Writers Awards, most recently for her essay, "From Mexico to Miramar or, Across the Lake of Oblivion." She has also been awarded residencies at Yaddo, the MacDowell Colony, Ragdale Foundation, the Virginia Center for the Creative Arts, and (for Sky Over El Nido) fellowships from the writers conferences at Wesleyan, Sewanee, and Bread Loaf. Her latest book, Metaphysical Odyssey into the Mexican Revolution, was awarded the National Indie Excellence Award for History. C.M. Mayo's work has been reviewed in publications as diverse as the Los Angeles Times, Publisher's Weekly, and Letras Libres (Mexico's leading cultural magazine), and she has been interviewed on National Public Radio, The Book Show on WETA, for Inside Mexico, and elsewhere. She has given uncounted talks over the course of five book tours, she has given uncounted talks at venues including the Library of Congress, the Angela Peralta Theater for PEN San Miguel, the US-Mexico Center at UCSD, Stanford University's Bolivar House, University of Texas Austin, noted independent bookstores such as Austin's Book People, Silicon Valley's Kepler's, and Pasadena's Vroman's, and book festivals (the Texas Book Festival, Fall for the Book, and Mexico's Feria Internacional de Libros, among many others). One of the pioneers of literary blogging, Mayo launched began Madam Mayo in 2006, and she continues to post on Mondays and oftentimes more often. 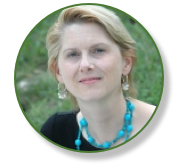 In 2014 she gave a talk for the Associated Writing Programs Conference in Seattle on "Writers' Blogs: Eight Conclusions After Eight Years of Blogging." She also maintains a research blog on Mexico's Second Empire / French Intervention, and has two archived blogs, Giant Golden Buddha & 364 More Free 5 Minute Writing Exercises and Reading Tolstoy's War & Peace. Her many guest-blogs have appeared in Large-hearted Boy, Beatrice.com, Book Drunkard, Cool Tools, Hist Fic Chick, and elsewhere. Mayo began podcasting in 2009, with her lecture at the Library of Congress on the archival research behind her novel, The Last Prince of the Mexican Empire. Mayo has since posted some 40 podcasts. In addition to those about her books and for her writing workshop students, Mayo now hosts an occasional series, Conversations with Other Writers, and the Marfa Mondays Podcasting Project, which is apropos of a book-in-progress about Far West Texas. Her ebook, based on her one day workshop at the Writer's Center is Podcasting for Writers & Other Creative Entrepreneurs, available in Kindle and iBook editions. C.M. Mayo has been a member of the faculty of the Bethesda, MD Writer's Center since 1999; she continues to teach occasional one day workshops at the Writer's Center on fiction and literary travel writing. Over the years she has also given workshops for the Johns Hopkins Part-Time Program in Writing; the Bread Loaf Writers Conference (as a fellow); the Writer's Center's "Publish Now!" seminar; the Maryland Writers Association Conference; and the San Miguel de Allende Writers Conference in Mexico, among many others. Mayo is founding editor of Dancing Chiva, a publisher specializing in Bajacaliforniana; esoterica; Maximiliana; works for writers; and selected works of her own. Work-in-progress includes World Waiting for a Dream: A Turn in Far West Texas, apropos of which she is hosting the Marfa Mondays Podcasting Project, and a novel. The Authors Guild, American Literary Translators Association, Biographers International, National Book Critics Circle, and Women Writing the West.